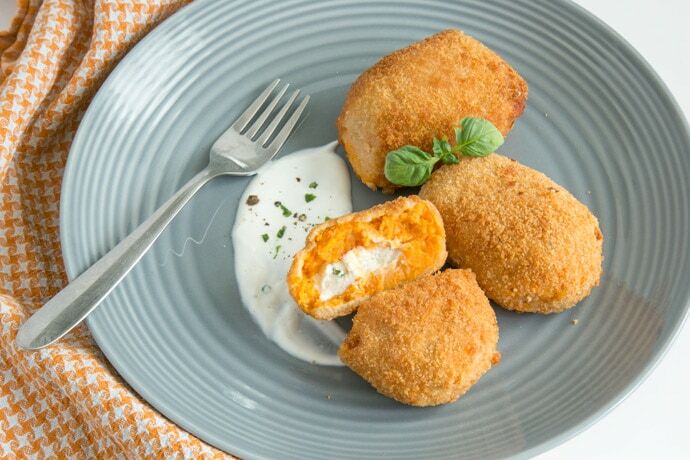 These Easy Sweet Potato Croquettes have a cheesy refreshing filling and make a great vegetarian finger food for entertaining. Ready in less than 30 min, they’re just the perfect way to use up any leftover sweet potatoes. This is definitely my sweet potato year. I’ve been making all sort of recipes with this delicious spud, including frittata, hasselback potatoes and waffles (YES! Waffles! ), and I just can’t have enough. This time around I tried a flavor-packed version of potato croquettes, with a tasty filling of my go-to ricotta with fresh herbs and roasted bell peppers. These are totally summer party material, and such a breeze to make. The crispy exterior and the soft and tasty filling is just perfect and SO addictive. Plus they’re baked rather than deep-fried, so they’re super light and completely guilt-free. 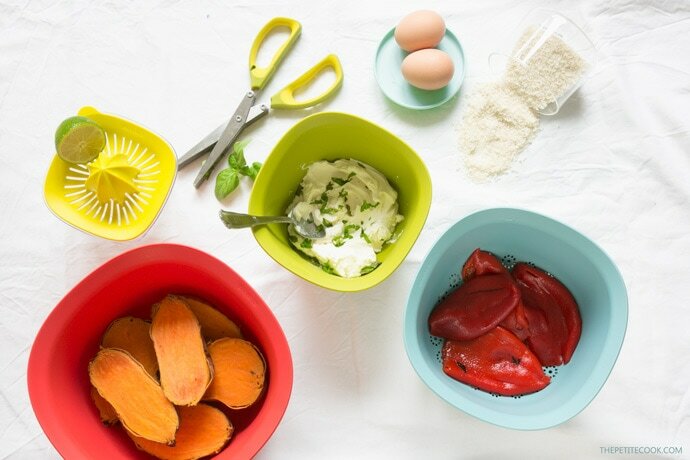 All you need is 8 very simple ingredients: steamed sweet potatoes (or leftover mash), panko breadcrumbs, parmesan cheese (optional) garlic, fresh ricotta mixed with basil and mint, a squeeze of lime juice and zest, 2 free-range eggs white and some chopped roasted peppers (optional). 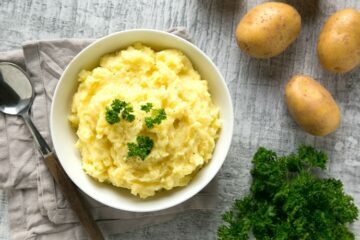 The recipe is pretty basic and a bit on the sweet side, so feel free to customize it with your favorite spices, or add a little kick with finely chopped red chilli into the potato mix. For a meaty version, sometimes I like to add some crispy pancetta, which balances well the overall sweetness of these yummy croquettes. It may come to surprise, but many of you regularly ask me where do I find my utensils and kitchen accessories. Although I’ve plenty of favourite brands, most of my items come from Brabantia. The quality of their products never fail to impress me. They’re pretty, sturdy and add a fun touch of colour to my kitchen. But the main reason I choose them over other brands is their ongoing mission to deliver sustainable products and help the environment. I know very well the team behind Brabantia. I was recently at the launch of their NewIcon bin collection, together with my blogger friend Bintu from Recipes from a Pantry. This year they’ve teamed up with with PlasticWhale, the first professional plastic fishing company in the world dedicated to creating plastic-free waters. For every NewIcon PedalBin that is sold, Brabantia will support PlasticWhale to ‘fish’ more plastic out of the waters across the world, ready for recycling. I absolutely love and support this initiative. I’ve already ordered my new PedalBin and can’t wait for October, when they officially go on sale! Back to these awesome Sweet Potato Croquettes, they don’t require any special cooking skill and the whole thing comes together in less than 30 mins. Once you have mashed the steamed sweet potatoes, add some panko breadcrumbs and optional parmesan cheese, season well and mix until combined. Now take a full tablespoon of potato mixture and in the middle place a teaspoon of ricotta and chopped roasted pepper filling. Close and shape it like a croquette. Go for a bite-sized version to serve those guys as finger food or snack. I personally go for a larger size to make a tasty appetizer or main. Served with a salad they make a fantastic vegetarian option for MeatlessMonday. Since they’re a bit soft, once you shape your croquettes, place them in the freezer for 5-10 mins to harden them enough to handle. 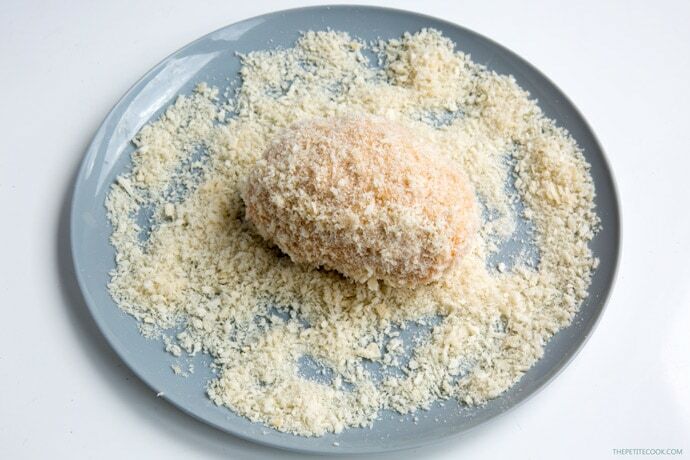 Put you croquettes first in white egg then fully cover them in panko breadcrumbs. Repeat the process twice, to avoid any leaking when baking them. Arrange them on a oil-greased baking tray and spray with extra oil on top. Bake until nicely crisp and golden brown. There you go! 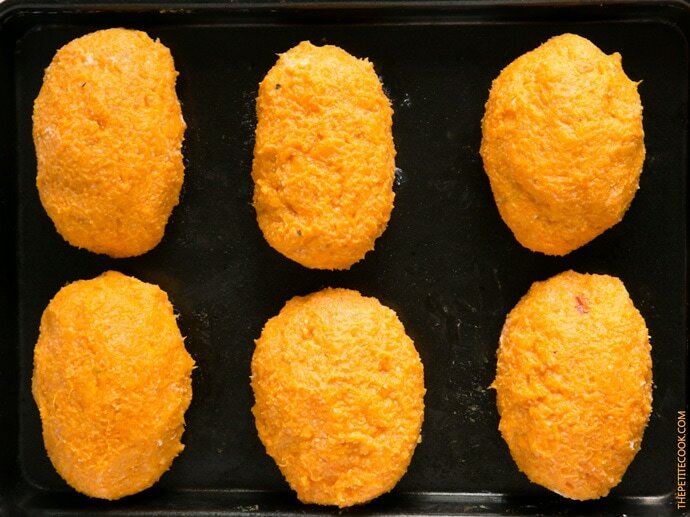 Your deliciously crispy Sweet Potato Croquettes are all ready to be enjoyed with your family and friends. Serve them hot straight from the oven, or at room temperature. They’re great on their own, but even better with some homemade ketchup and/or mayo on the side. Trust me, these crispy Sweet Potato Croquettes will disappear within minutes! I hope you guys have fun making these tasty croquettes! Don’t forget to leave a comment below or on my Facebook page, and let me know how you liked it! Even better, snap a picture, tag it #thepetitecook and share it on Instagram! Looking at your pictures makes me always happy :). 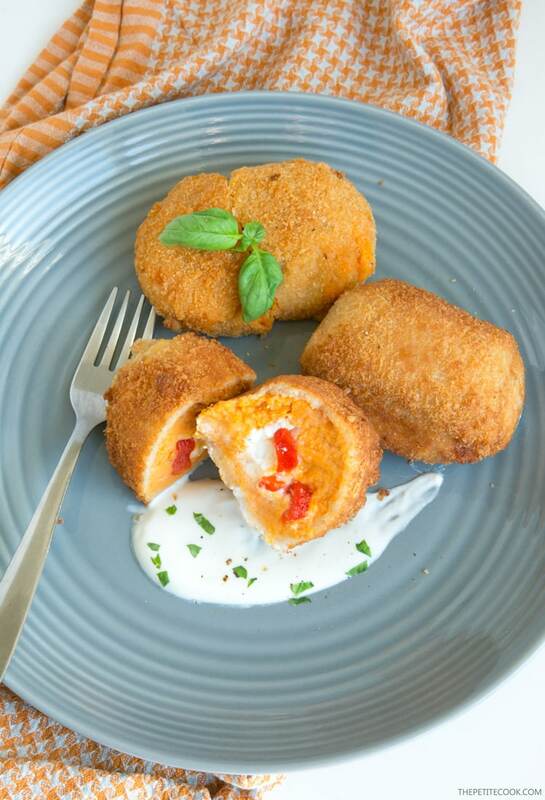 These Easy Sweet Potato Croquettes have a cheesy refreshing ricotta filling and make a great vegetarian finger food for entertaining. 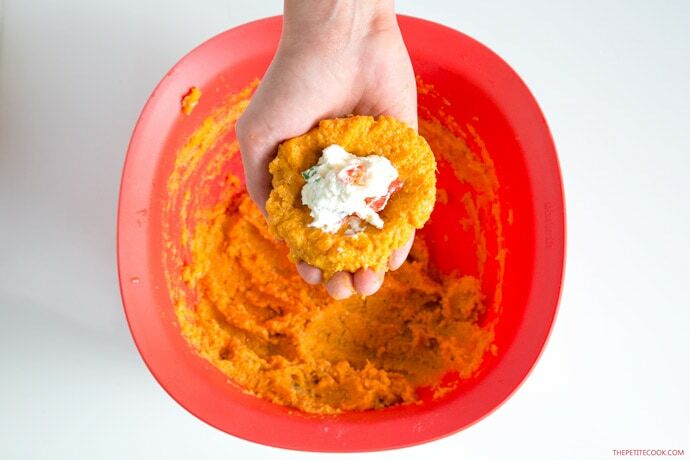 Ready in less than 30 min, they're just the perfect way to use up any leftover sweet potatoes! Preheat oven to 200C/400F and lightly spray with oil a baking tray. In a bowl, mix together your leftover mashed sweet potatoes ⅓ of panko breadcrumbs and grated garlic. Season well with salt and pepper and mix until combined. In another bowl mix together the ricotta with fresh herbs, lime juice and zest. Add finely chopped roasted bell pepper and season well with salt and pepper to taste. Whisk the white eggs in one bowl and place the remaining panko breadcrumbs in another bowl. 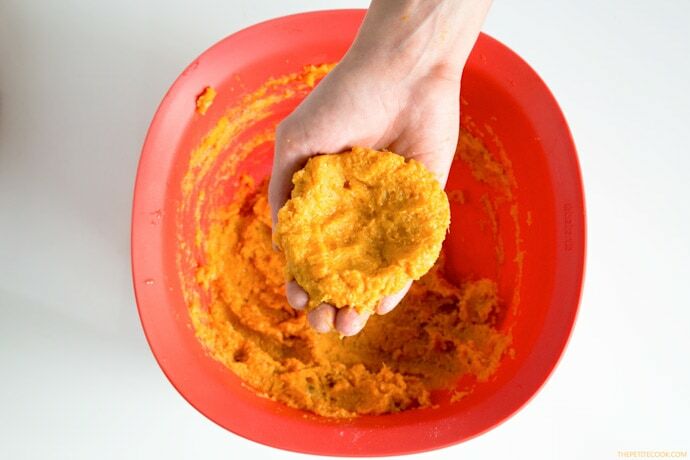 Take 1 heaping tbsp of mashed sweet potatoes, shape into a slightly flattened ball and add into the center a teaspoon of ricotta mixture. Close and shape it into a croquette. Repeat the process with remaining ingredients. Place your croquettes into a tray and freeze for 10 mins, or until hard enough to handle. Dive your croquettes into the whisked eggs then coat on all sides with panko breadcrumbs. Place on the greased baking sheet. Repeat the process for each croquette. Bake for about 15 mins or until the tops are crispy and golden brown and the center is hot. Serve them straight away from the oven or at room temperature. This post is sponsored by Brabantia, and as usual all opinions are my own. I truly love the quality of their products, and can only recommend it to all of you! 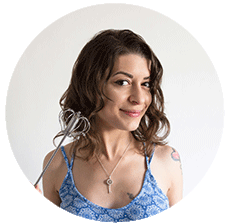 Thank you for supporting the brands that support The Petite Cook. 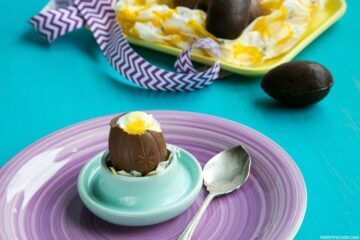 Can you make these the day before and keep them in the fridge or maybe the freezer? I’d like to make them as a side dish for stuffed bell peppers, but the bell peppers take an hour to cook. so if I had these croquettes already made, it would really save some time. What do you think? I think I want to cook off the bell peppers first then bake these. 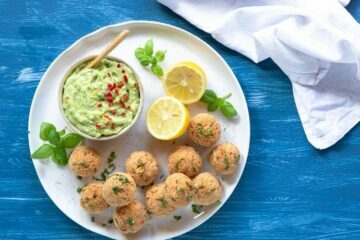 Hi Rin, great to hear you’re making these tasty croquettes 🙂 If you’re planning to serve them within the next day, I would just keep them in the fridge. However I did freeze them before (uncooked) and they freeze really well! 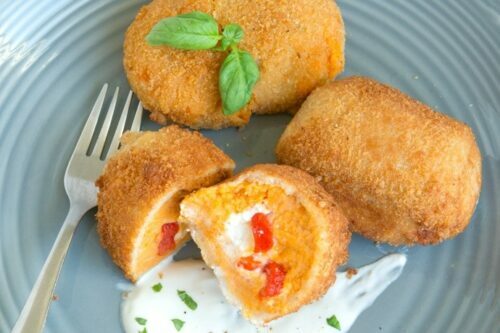 One of my favorite foods are croquettes! I love the idea of using sweet potatoes! I can’t wait to try this! Wow…. outstanding dish made of sweet potatoes… I am eager to taste it… thanks for sharing!! !